Chips For The Poor and Steve Christie perform live in session on Resoanance FM‘s Hello GoodBye. Anguish Sandwich – Goungzhou Romance Musical Instruments Co. 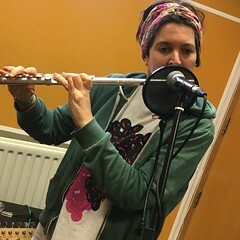 This entry was posted in dexter bentley, hello goodbye show, Hello GoodBye: Playlists, resonance fm and tagged c4tp, chips for the poor, dexter bentley, hello goodbye show, resonance fm, steve christie. Bookmark the permalink.